Previous postAndrew Berry 47, and I day on citalopram. Next postSolicitors letter from Professor Casey and my right to freedom of speech! I guess that you have either a strong CoI with the tobacco companies or may be you ignore that tobacco kills more that 5 millions a year. I’m sorry that you find this post offensive. The facts are there though, this drug was found to cause more violent incidences than ANY other drug on the market! There is also 2 other smoking cessation drugs that do not cause violence and suicide, so my point is why leave this drug on the market? I have no affilation with the tobacco industry! The post is not offensive. It is silly no reference. Just gossip. Have a look at: Tonstad S, Davies S, Flammer M, Russ C, Hughes J. Psychiatric adverse events in randomized, double-blind, placebo-controlled clinical trials of varenicline: a pooled analysis. Drug Saf. 2010 Apr 1;33(4):289-301. Smoking Cessation drugs are anti-depressants, yes smoking kills people, but that doesn’t mean it’s ok to prescribe a drug like Champix which has a potential to kill them also!!! Their deplorable record on that score speaks for itself..
no reference yet! Again. Just gossips. The safety profile of Champix was well characterised. As every new drug it is under scrutiny. And that is fine too. Sorry, you are tricked by the death industry, as many. tobacco kills 5 millions a year. Just google ‘pharmaceutical industry unethical’ , or ‘pharmaceutical corruption’ and you will find numerous examples and references.. I don’t have time to do it for you… but maybe you choose to be ill-informed.. so whatever. That is not suicide. It is an observational report. It was not confirmed in controlled studies: Tonstad S, Davies S, Flammer M, Russ C, Hughes J. Psychiatric adverse events in randomized, double-blind, placebo-controlled clinical trials of varenicline: a pooled analysis. Drug Saf. 2010 Apr 1;33(4):289-301. Varenicline is under scrutiny. Which is different from you claims. I’m confused now. First you say that the tobacco industry is behind the bad press for varenicline. Then you post a link to a site that says the pharmaceutical companies are responsible for the biggest threat to public safety. Which is the biggest threat to public safety? Big Tobacco or Big Pharma? Please clarify. In teh US during 1997-2001 an estimated 438,000 premature deaths occur each year as a result of smoking and exposure to secondhand smoke. In comparison, approximately 440,000 smoking-related deaths were estimated to have occurred annually from 1995-1999. Ok the Big Pharma and doctors do not care enough about the safety issue. There are many drugs which are useless and some are dangerous. Varenicline is very useful. In my opinion, safety is ok from what I read and from what I know of pharmacology. However, as every new drug, it mus be under scrutiny, and prescription must be monitored and avoided in some cases. It is unfortunate that you lost your position at the hospital in France for warning about the dangers of tobacco use. I think most people would agree that quitting smoking is a good idea. But Champix is not the way to do it. Even though the FDA fast-tracked the approval of Champix in 2006, two years later it had issued a black box warning because “it appears increasingly likely that there is an association between Chantix and serious neuropsychiatric symptoms”. In May 2011, it was revealed that Pfizer had submitted 589 varenicline-related adverse effects reports to the FDA through “improper channels.” These reports dated back through 2007 and included 150 completed suicides (more than twice the number previously reported). 150 completed suicides is not my idea of a safe drug. There is no evidence that these suicides are related to Varenicline. Participants 80 660 men and women aged 18-95 years were prescribed a new course of a smoking cessation product between 1 September 2006 and 31 May 2008; the initial drugs prescribed during follow-up were nicotine replacement products (n=63 265), varenicline (n=10 973), and bupropion (n=6422). Main outcome measures Primary outcomes were fatal and non-fatal self harm, secondary outcomes were suicidal thoughts and depression, all investigated with Cox’s proportional hazards models. Results There was no clear evidence that varenicline was associated with an increased risk of fatal (n=2) or non-fatal (n=166) self harm, although a twofold increased risk cannot be ruled out on the basis of the upper limit of the 95% confidence interval. Compared with nicotine replacement products, the hazard ratio for self harm among people prescribed varenicline was 1.12 (95% CI 0.67 to 1.88), and it was 1.17 (0.59 to 2.32) for people prescribed bupropion. There was no evidence that varenicline was associated with an increased risk of depression (n=2244) (hazard ratio 0.88 (0.77 to1.00)) or suicidal thoughts (n=37) (1.43 (0.53 to 3.85)). Conclusion Although a twofold increased risk of self harm with varenicline cannot be ruled out, these findings provide some reassurance concerning its association with suicidal behaviour. I am always skeptical of studies reported in medical journals that receive most of their revenue from drug company advertisements. The pharmaceutical companies state there is no evidence that suicide is related to antidepressant use either but there are many grieving families who have lost loved ones who would disagree. 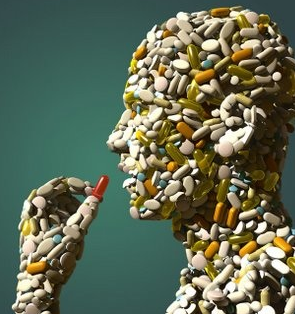 The pharmaceutical companies also state that the benefits outweigh the risks in the case of antidepressants but in fact the drugs are no better than a placebo and in many cases the placebo group performs better. I understand that you are on a crusade against tobacco companies but to put your faith in drug companies is misdirected. I fully share your concerns about CoI in Medicine. Have a look at my previous post (number 8) about the big pharma. I wrote several pieces about CoI and a review will be soon published in a public health journal. For tobacco cessation it is not faith, it is evidence. The benefit risk ratio is high. As every treatment you have to monitor and to look for adverse reaction. I understand that people want to understand why the one they loved committed suicide. However, the explanation is not here. Association does not mean causality. I think the previous comment says it all. The FDA issued another safety announcement with Chantix (varenicline) on June 16th 2011 and this one states that it may increase the risk of certain cardiovascular adverse events in patients with cardiovascular disease. Sorry can´t paste the link because I´m not on my own computer but will do next week! The U.S. Food and Drug Administration (FDA) is notifying the public that the smoking cessation aid Chantix (varenicline) may be associated with a small, increased risk of certain cardiovascular adverse events in patients who have cardiovascular disease. FDA reviewed a randomized clinical trial of 700 smokers with cardiovascular disease who were treated with Chantix or placebo (see below). In this trial, Chantix was effective in helping patients quit smoking and remain abstinent from smoking for as long as one year. Cardiovascular adverse events were infrequent overall, however, certain events, including heart attack, were reported more frequently in patients treated with Chantix than in patients treated with placebo. FDA reviewed a randomized, double-blind, placebo-controlled clinical trial designed to assess the efficacy and safety of Chantix for smoking cessation in 700 patients aged 35 to 75 years with stable, documented cardiovascular disease (other than, or in addition to, hypertension) that had been diagnosed at least two months prior to the screening visit. Patients were randomized to treatment with Chantix 1 mg twice daily (n=350) or placebo (n=350). The study consisted of a 12-week treatment period that was followed by a 40-week non-treatment period. Patients also received smoking cessation counseling throughout the study. The 4-week Continuous Quit Rate (CQR) for Weeks 9 through 12 was obtained through weekly reports of cigarette or other nicotine use since the last study visit, and confirmed by measurement of end-expiratory exhaled carbon monoxide ≤10 ppm. The results showed a statistically significantly higher 4-week CQR in the Chantix arm compared with the placebo arm (47% versus 14%, respectively; p<0.0001). The continuous abstinence rate from Week 9 through Week 52 of the study was also significantly higher in the Chantix group compared with the placebo group (19% versus 7%, respectively; p<0.0001). Certain cardiovascular adverse events were reported in more patients treated with Chantix than patients treated with placebo. These included angina pectoris, nonfatal myocardial infarction, need for coronary revascularization, and new diagnosis of peripheral vascular disease or admission for a procedure for the treatment of peripheral vascular disease, as is shown in the table below. These events were reviewed by an independent cardiovascular endpoint committee. Some of the patients requiring coronary revascularization underwent the procedure as part of management of nonfatal myocardial infarction and hospitalization for angina pectoris. The trial was not designed to have statistical power to detect differences between the arms on the safety endpoints. *Three patients in the varenicline arm did not meet the protocol-specified definition of stable cardiovascular disease but were included in the safety analysis population. †Patients with need for coronary revascularization in the varenicline arm include 5 patients who are also counted under nonfatal myocardial infarction and/or hospitalization for angina pectoris events. Patients with need for coronary revascularization in the placebo arm include 2 patients who are also counted under nonfatal myocardial infarction and/or hospitalization for angina pectoris. Bralllion… Quesation for you.. have you heard of Seroxat? .. Do you think it has the propensity to cause people to become suicidal and commit suicidal acts? .. Also have you been on an SSRI yourself? ..
“Association does not mean causality.” ..
Lenzer J. Manufacturer admits increase in suicidal behaviour in patients taking paroxetine. BMJ. 2006 May 20;332(7551):1175. At the end of 2010 the U.S. Department of Justice reported a major $750 million settlement arising from claims first asserted by an employee/whistleblower against her former employer – GlaxoSmithKline PLC (“GSK”). The civil and criminal penalties stem from allegations that the company manufactured and distributed defective and adulterated drugs from its now-closed manufacturing facility located in Puerto Rico. “Association does not mean causality” is the cop-out that all drug companies use to defend their defective drugs. It is just semantics. A drug can not be approved by the FDA if there is an association shown in clinical trials between their drug and a serious side-effect. Causality does not have to be proven. Drug companies get around that by manipulating the outcome of the trials to get it approved. Once it’s approved it’s difficult for the FDA to recall it because then they have to explain why they approved it. It has already been shown a number of ways in clinical trials, clinical practice and challenge-dechallenge-rechallenge tests that ssri antidepressants increase the probability of suicide. To say that they don’t cause it is meaningless. The end result is the same. Death. Selective serotonin reuptake inhibitors and risk of suicide: a systematic review of observational studies. Association between suicide attempts and selective serotonin reuptake inhibitors: systematic review of randomised controlled trials. the European Parliament just produced a damning report on the EMA budget management and handling of conflicts of interest. 626 of the 700 MEPs voted to postpone the closure of the EMA’s 2009 accounts until an audit of the Agency is produced. The EMA has been given until the end of June 2011 to produce the information requested.